Venugopala is a popular figure of Lord Krishna. 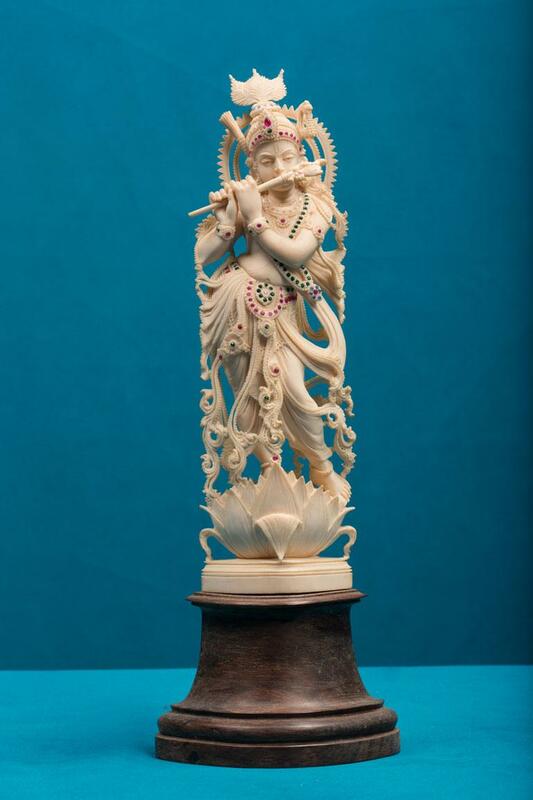 Here Venugopala is pictured as standing on a lotus flower holding a flute to his lips with both his hands as if about to play on it. He is wearing a decorative crown with peacock feathers and the body is covered with a complete set of ornaments. A large ‘siras chakra’ or halo is attached to the back of his head.